There is an apparently little known connection between the Thurrock area and the death of King Charles I. Two of the judges at the King's trial were previously associated with Chadwell and Little Thurrock. They were James Temple and Edward Whalley who both signed the King's death warrant. James Temple was the son of Sir Alexander Temple who owned a number of properties in Chadwell and Little Thurrock from 1607 until his death in 1629. These properties included Longhouse Place (now Chadwell Place) which was a family residence of the Temples. It is very likely that James Temple spent some time there while growing up. The Temples provide a textbook example of an upwardly mobile family from the 16th and 17th centuries. They originally came from Leicestershire. They acquired property in Warwickshire in the 16th century and began to build a fortune based on sheep farming of newly enclosed land. Sir Alexander's father - John Temple - bought the manor of Stowe in Buckinghamshire in 1590. John's heir was Sir Thomas Temple, Sir Alexander's brother and it is from him that the Dukes of Buckingham were descended. His great grandson (Sir Richard Temple) became Viscount Cobham. The titles and property passed to Sir Richard's niece's husband with the family eventually becoming Dukes of Buckingham. Despite being a younger son, Alexander was able to make two advantageous marriages - both of them to wealthy widows from armigerous families. When Alexander married Mary Penistone at St Brides, Fleet Street in December 1602, his father contributed the manor of Bartons in Buckinghamshire as part of the marriage settlement. As a prominent landowner, Alexander was knighted on Tower Hill by King James I in March 1603/4, a few months after his brother Thomas had also been knighted by the King. Sir Alexander and Dame Mary lived in St Margarets, near Rochester in Kent. They had a son (James) and possibly other children - unfortunately the parish registers do not begin early enough to prove this. Mary Temple died about 1607. 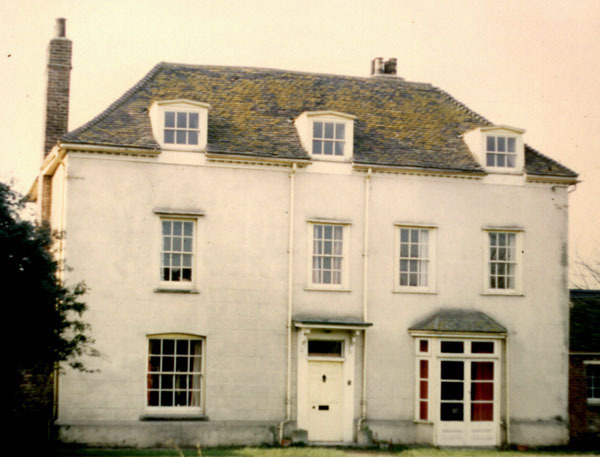 Following her death, Sir Alexander sold Bartons to his brother in exchange for Longhouse and other local properties which Sir Thomas had bought a few weeks earlier. The Temples had no previous connection with the Thurrock area, so the reason for Sir Alexander moving here is unclear.